avast! Ransomware Removal app eliminates Android ransomware and unlocks encrypted files, for free! "The ransomware problem is growing like hell - and it's no longer just threatening users - the new versions actually do encrypt your files," said Ondrej Vlcek, Chief Operating Officer at AVAST Software. AVAST Software just released a new app called avast! Ransomware Removal that will eliminate the malware from an infected device. Get it free for your Android smartphone and tablet from the Google Play Store. avast! Ransomware Removal will tell you if your phone has ransomware on it. If you are infected, it will eliminate the malware. Android users who are clean, can use the free app to prevent an infection from happening. This short video shows you what actually happens when ransomware infects your Android smartphone. Savvy malware writers know where the next round of victims can be found. With Android at a whopping 80% worldwide market share, as well as “billions” of remaining mobile subscribers ready to upgrade to smartphones, the targets are numerous. After detecting the massive growth of ransomware on PCs, this spring AVAST Virus Lab researchers saw the malware migrating to the Android platform. Analysts identified fake government mobile malware, and early this month a new ransomware called SimplLocker proved to be successful. This proof-of-concept worked so well encrypting photos, videos, and documents stored on smartphones and tablets, that the Virus Lab immediately ordered a tool from our mobile development team to combat it - avast! Ransomware Removal. Install avast! Ransomware Removal to find out if your Android devices are infected and to get rid of an infection. 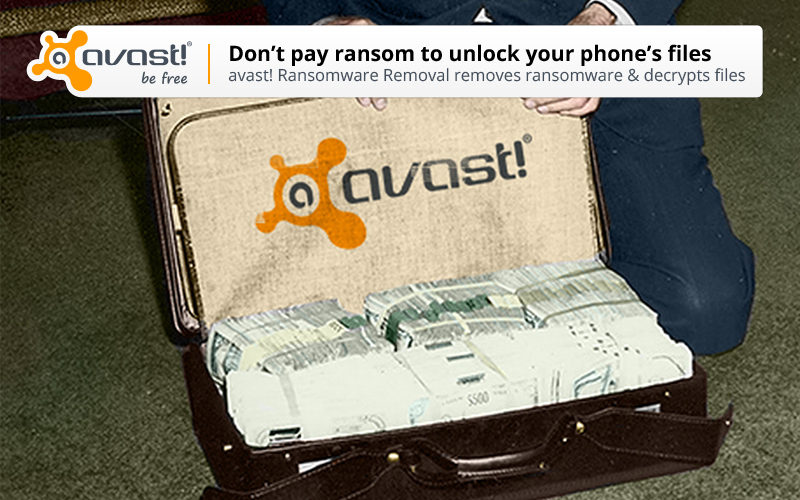 Anyone infected by SimplLocker, Cryptolocker, or any other type of ransomware can download the free avast! Ransomware Removal tool, and then install the app remotely on the infected device. Once installed, you can easily launch the app to scan the device, remove the virus, and then decrypt your hijacked files. To keep your devices protected from Cryptolocker, SimplLocker, and other ransomware, make sure to also Download Avast Free Mobile Security & Antivirus from the Google Play store. It can detect and remove the malware before it is deployed.